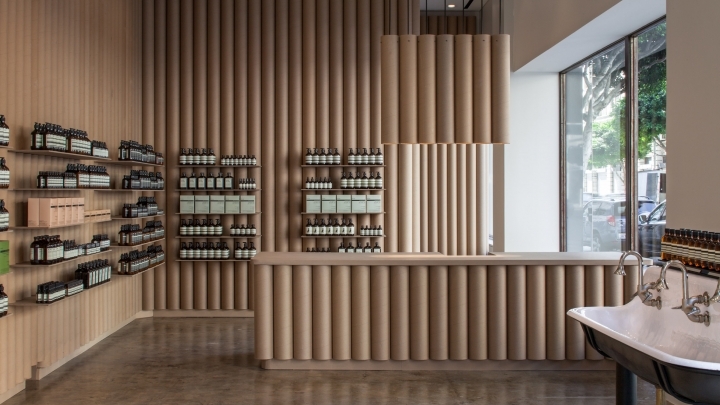 Reclaimed cardboard tubing from fabric rolls used by the nearby fashion district line the walls of this Los Angeles store for skincare brand Aesop. 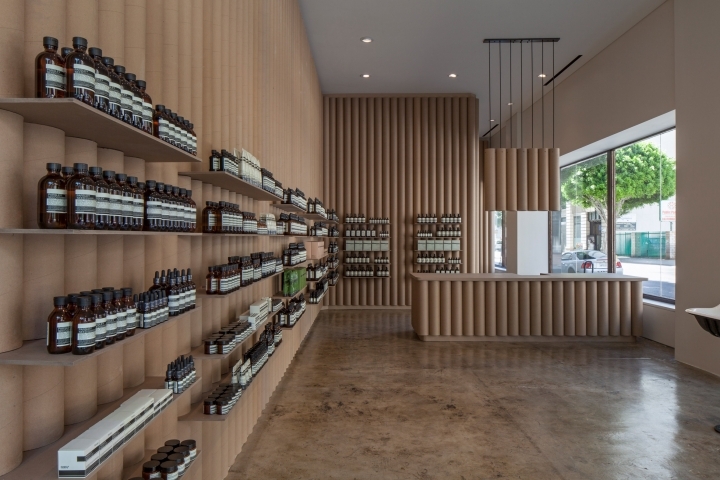 Californian firm Brooks + Scarpa designed Aesop's largest store to date, a 1,085-square-foot (101-square-metre) space in the historic theatre district of Downtown LA. 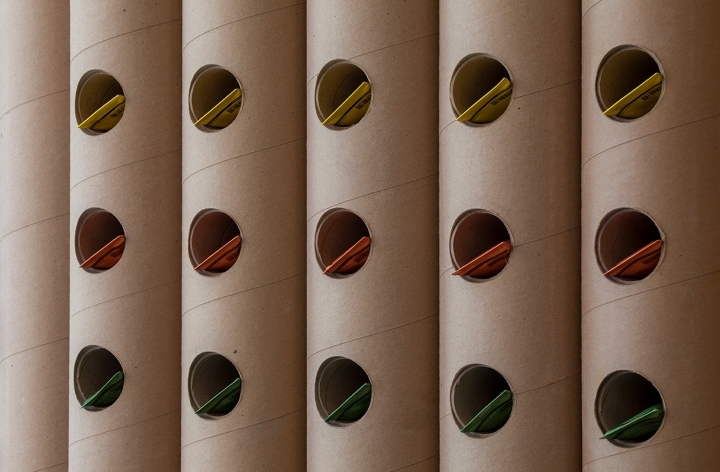 Inside, walls and furniture are made from six-inch round cardboard tubes, like those discarded by the fashion houses and costume shops that now populate the neighbourhood. Other elements of the store's interior are made entirely from recycled paper. Shelves and countertops are formed using cross-laminated paper measuring only three-eighths of an inch (0.9 centimetres) thick. With all support hardware hidden, the hi-tech solution provides clean lines that intersect the vertical cardboard tubing covering the walls. The earthy palette warms the space, complementing the natural concrete of the 1929 Eastern Columbia Building's original floors. 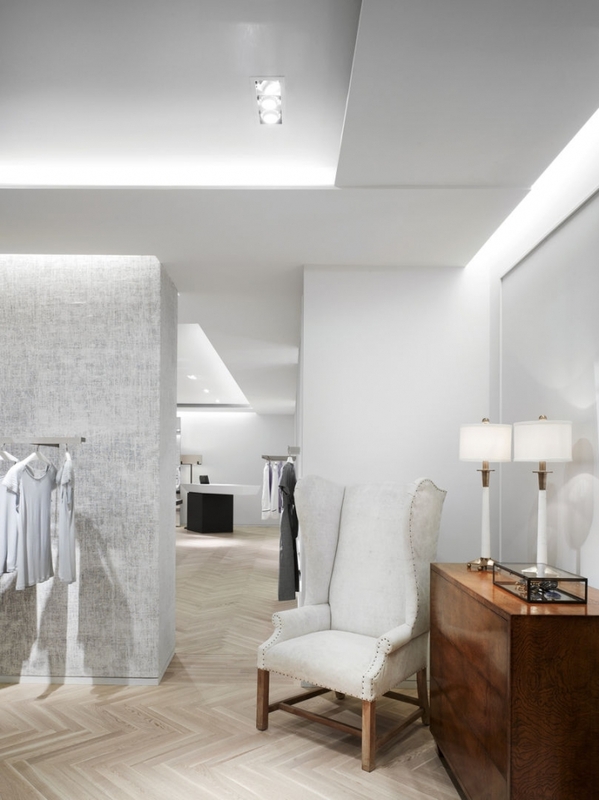 "Using a singular material, the store is meant to be simple, elegant and rich with subtle details much like the products that the company create," said the architects. The minimal decor of the space draws attention primarily to the reclaimed tester sink on the showroom floor. The vintage basin adds to the rustic tone, which is echoed in the weathered patina of the steel storefront. "The design is meant to feel natural, warm and soothing," said Brooks + Scarpa, reflecting the ethos of the company's skincare products. 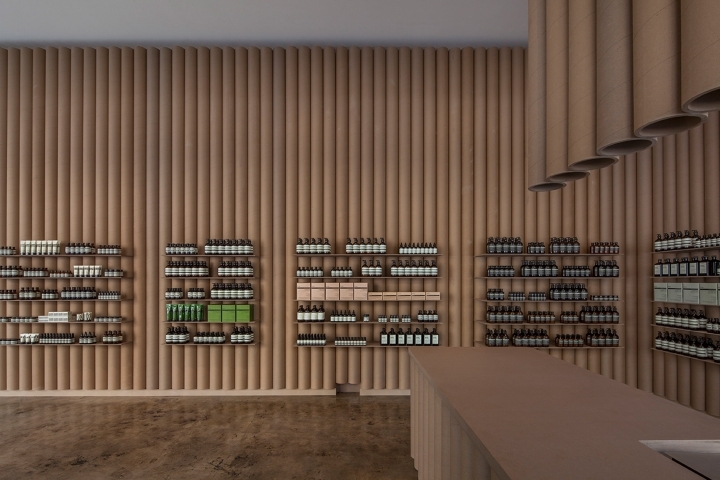 Aesop's packaging influenced the design of the Trapeze Shelf, a suspended platform made from pinched copper tubing created to reflect the brand's attention to detail. 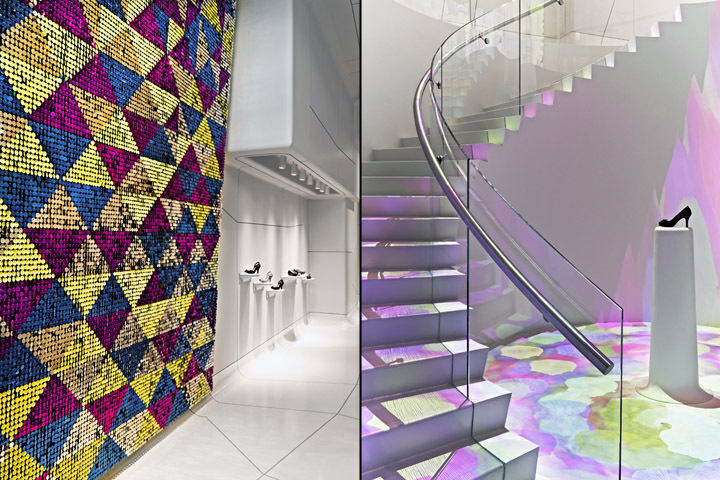 More design details are found across the store's simple interior. 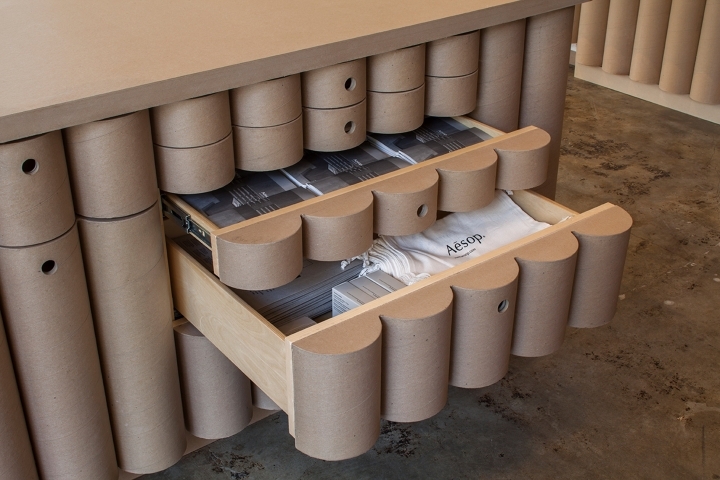 Custom suspended light fittings at the point of sale are made from the same cardboard tubes that form the walls, as are cabinet drawers for storage.